How do I enable scoping for a developer key in an account? 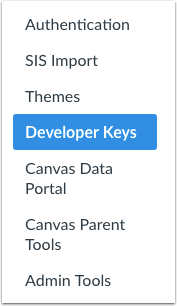 As part of creating new developer keys or editing existing developer keys in your account, you can customize the access the key receives. Enforcing scopes allows you to control direct access and specific API endpoints for third-party tools associated with your institution. By default, scope enforcement is disabled when creating a new developer key, which allows tokens to access all endpoints available to the authorizing user. However, scopes can be edited for a developer key at any time and update access tokens for the authorizing user appropriately. Managing Developer Keys is an account permission. If you cannot manage developer keys, this permission has not been enabled for your user role. Developer Keys are not available in subaccounts. After you've completed the developer key information, click the Enforce Scopes button. To search for a specific endpoint, type the name of the endpoint in the Search Endpoints field . 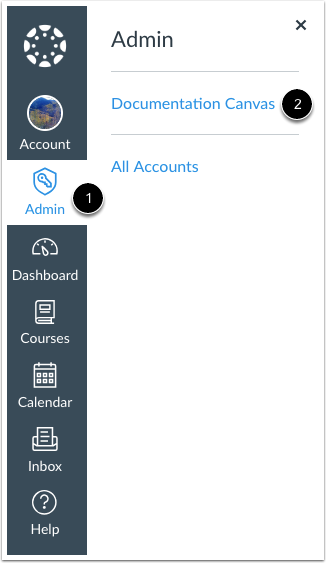 To see all available endpoints, scroll through the Endpoints table . To grant read-only (GET) access to the developer key, select the Read only checkbox. The table will automatically update and select all scopes that contain read-only endpoints. You can grant customized access to the developer key. Click any scope name to view available endpoints . Select the desired endpoints by clicking the checkbox next to the endpoint name . The scope name line will update to show the summary of the collective selected endpoint access . Previous Topic:How do I add a developer key for an account? Next Topic:How do I create an outcome for an account? Table of Contents > Integrations > How do I enable scoping for a developer key in an account?